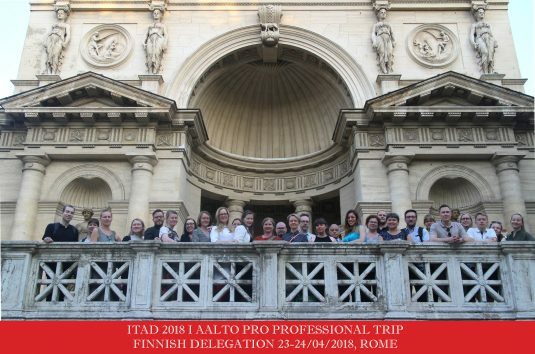 ITAD Association in collaboration with well-established professors, award-winning firms and world recognized Italian architecture and engineering companies organized an urban planning symposium in Rome for professionals from Aalto Pro University, Helsinki. The event took place on the 23rd and 24th of April 2018 and it was led by the Director of NOS Design and ITAD Association – Architect Benedetta Gargiulo Morelli. 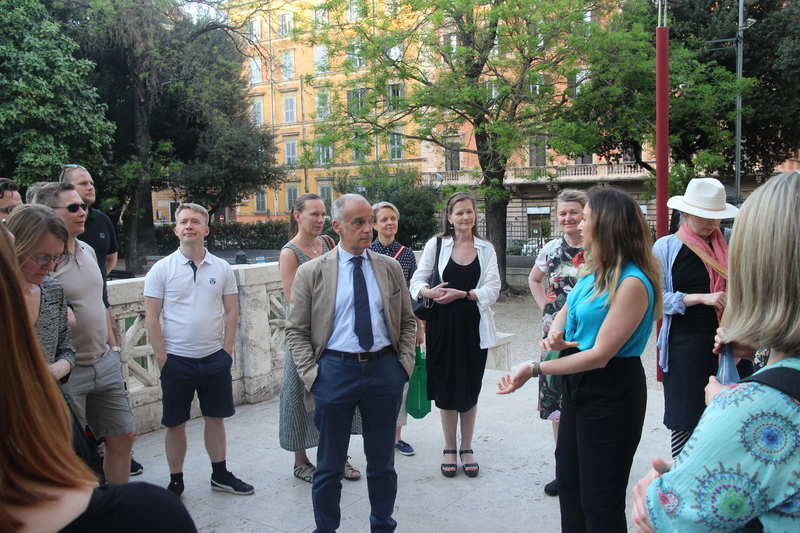 The strategy of the program was to secure an interdisciplinary experience through exploring Urban Planning methodologies, Architecture, Engineering within the City of Rome both at City, Regional and National level. There were two city planning meetings with the local/regional administration and one onsite visit. The first welcoming meeting was scheduled for 3 pm on Monday and it took place at the Headquarters of Lazio Innova, which is the home of the Urban Planning Department of Regional Lazio Administration. The introduction of Lazio Innova and its functions was presented by Architect Maria Tiziana Marcelli, who is an urban planner and responsible for Lazio Innova Sustainability. 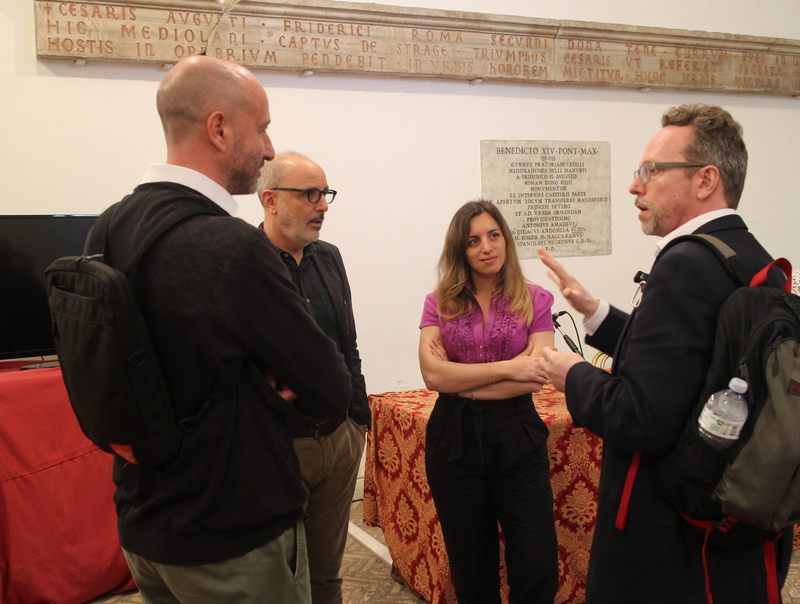 The second speaker was the director and urban planning former councilor of the Region Lazio, Architect Daniele Iacovone, who has been involved in most of the recent territorial and regional plans in the region of Lazio as an advisor and specialist (1998-2010). He explained the division and the current programs of the region and how the agricultural zones are being adopted to expand the urban area. 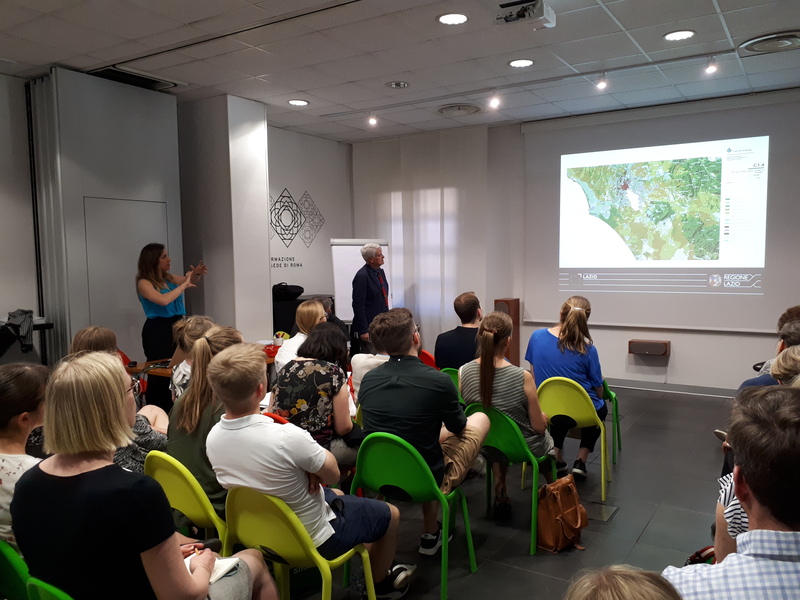 The meeting continued with a presentation of the planning regulation system (PRG) and procedures of Lazio, done by Professor Architect Giovanni Pineschi, urban planner and professor in urban planning at the University “Sapienza”. He also covered topics as the development of Rome during the 20th century and how the city recovered after the end of the Second World War. The meeting was closed by Architect Valina Geropanta, PhD in Smart City, who shared the principles of the ‘smart city’ and what is the potential of Rome to adopt them in its future development. 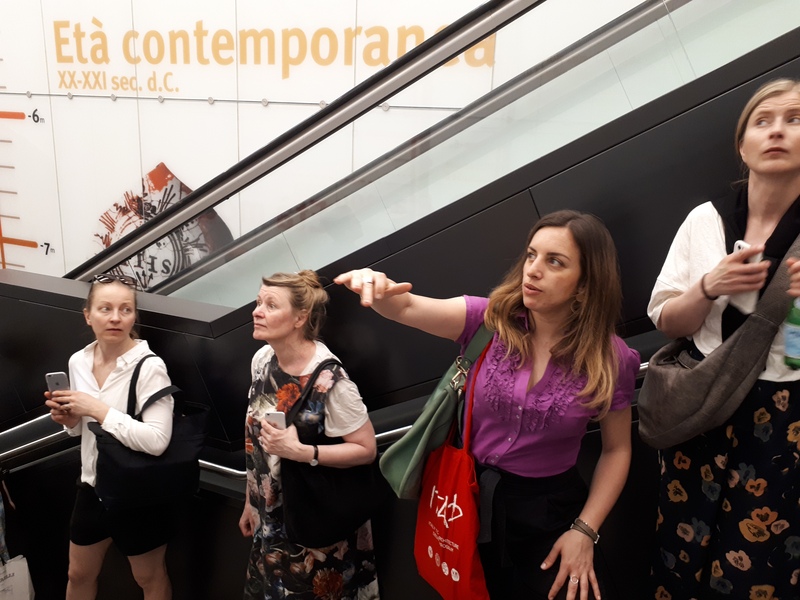 After the meeting, the group visited the Chamber of Architects in Rome, where Architect Benedetta Gargiulo Morelli described the structure of the organization and the current state of the profession. She led the group on a tour inside and walked them through the history of the building itself. The second day started with a meeting held at Campidoglio Mayor Cabinet “Sala del Carroccio,” where Professor Architect Luca Montuori, Councilor of Urban Planning of the City of Rome, Professor Riccardo Petrachi, Director of 2tr Architettura Studio, and Architect Benedetta Gargiulo Morelli, Director of NOS Design and ITAD Association, spoke about the Planning Committee Best Practices of Rome City. 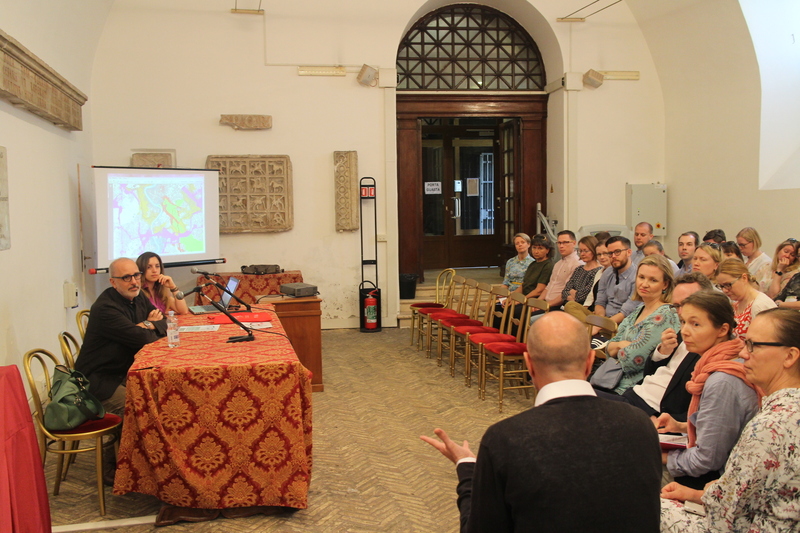 The presentation provoked various questions from the group about the quality of urban planning in Rome and how the principles of architecture are being neglected, due to the present economic recession and private investment seeking greater profit on land-use without public sector guidelines. In the afternoon, the site visit consisted in the extraordinary construction-site opening of San Giovanni metro station, part of the new metro line C. The opening of the metro line was postponed for the first week of May and it is still closed for the public. However, the group was given a special permit and they were the first one to see the brand-new metro station of the city of Rome. The station goes down to -27 metres and all the historical artefacts, that were excavated on site are now exposed and integrated in the design of the station converting it into a museum station. The design revolves around the black and white contrast. The pavement and the ceiling are made from dark materials and texture, while the walls are predominantly white with symbols that are deeply enrooted in the history of Rome, as peaches for instance. The first evidence of peach plantations is found in the area around Rome. Mostly, those symbols are related with agriculture and practices of the ancient Romans. Near one the main entrance, there is a glass cylinder into the wall, containing different types of soil from each layer of the ground that has been excavated. The tour was led by Engineer Andrea Sciotti, who is the Design Project Engineer of the Metro C and Architect Massimo Brunori. 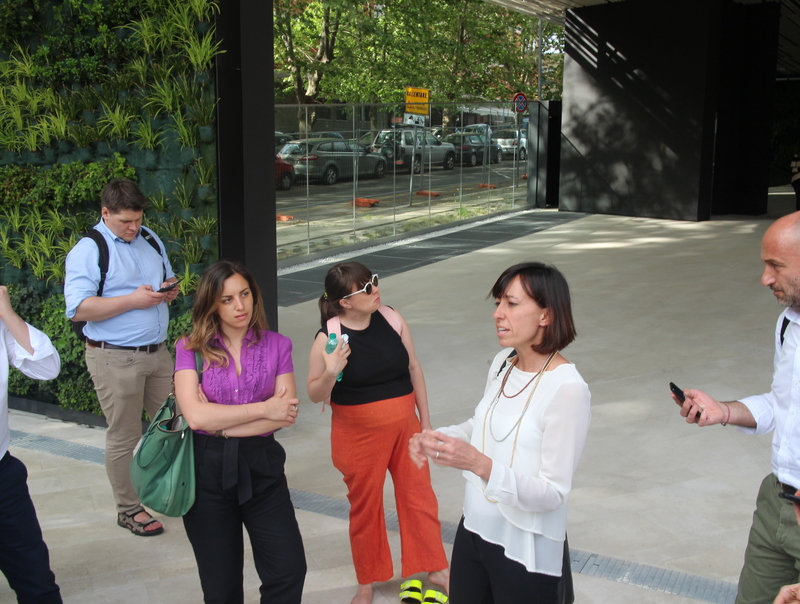 Architect Benedetta Gargiulo Morelli was the co-ordinator of the site visit. The final stop of the day was the on-site visit of the new Angelini Headquarters by Studio Transit. Architect Manuela de Micheli, who is Studio Transit Partner and Project Architect, explained all the architectural and urban processes involved in the design of the 45 million euros project, pointing out the obstacles and how they met the client’s expectation. 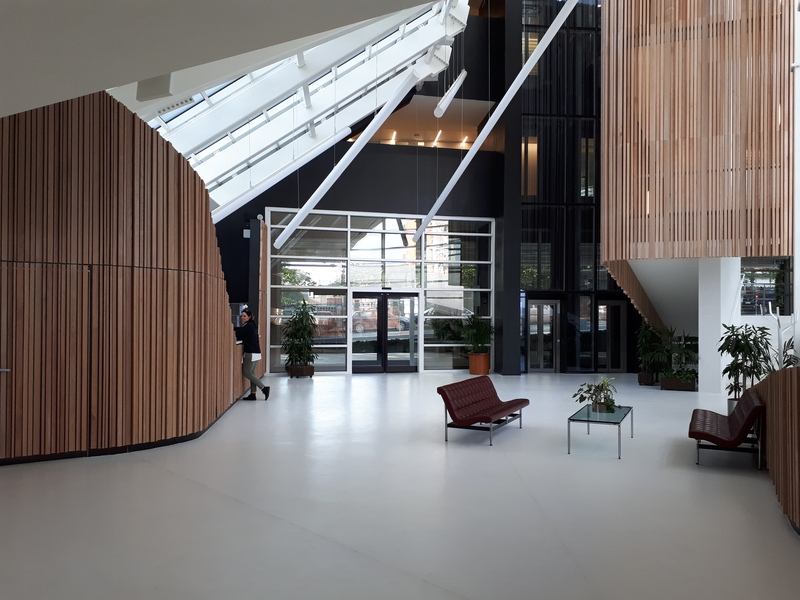 She also answered numerous questions from the group, related with the division of the spaces, the choice of materials and the sustainability of the complex being awarded the LEED Gold. 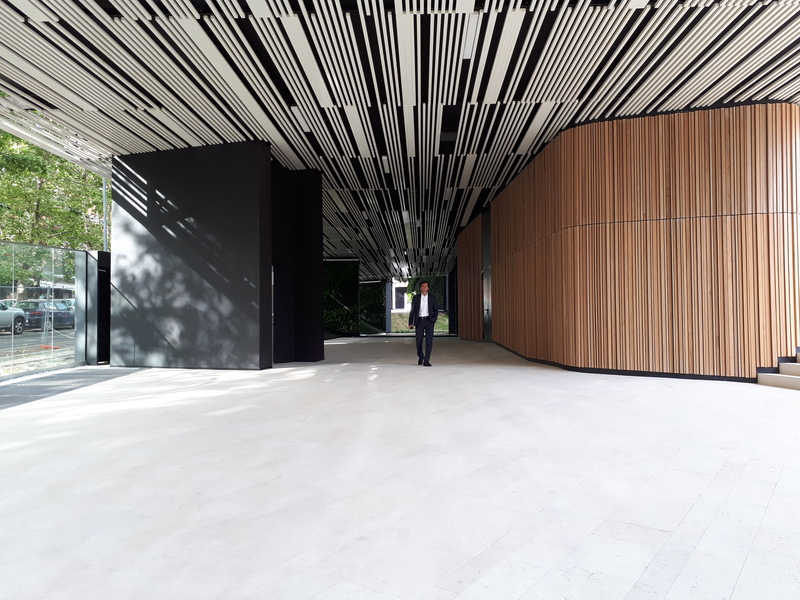 She described the project as ‘more than a building’ and that it represents an “urban costume made’’, where offices and general services (auditorium, cafeteria, training-rooms, underground parking) are connected through a precise and careful attention for interior spaces, gardens and atriums. Architect Manuela de Micheli emphasized on the organic approach to design they had and how the building is tied to the city by reiterating the ancient blocks with contemporary values.